Smoking is the leading cause of death and disease in Australia. 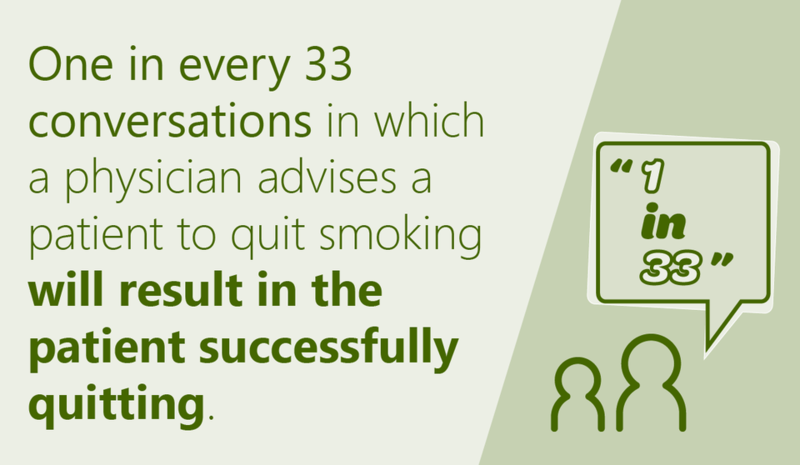 Health professionals play a powerful role in encouraging and helping patients to stop smoking. 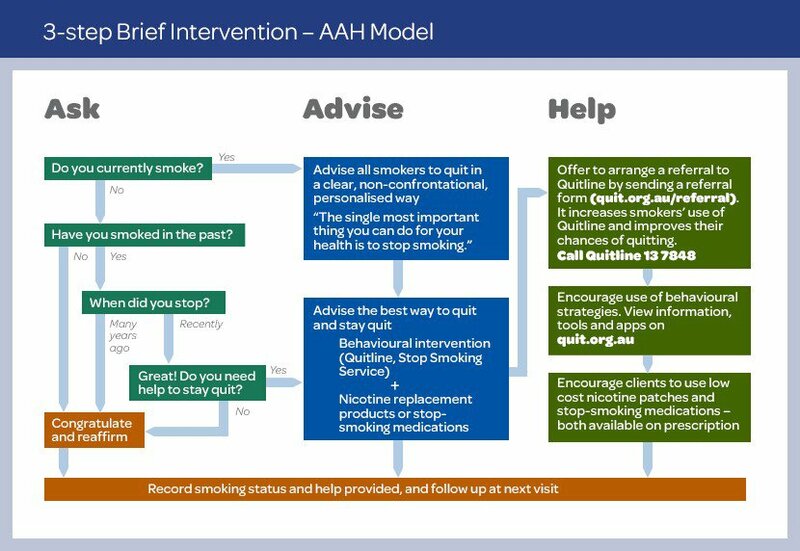 Research continually shows that quitting advice from a health professional, even if brief, is highly influential. If a person doesn’t receive this advice, they are less likely to quit. The 3-step model streamlines the RACGP 5As model to fit within a standard consultation. 1. Ask all clients about their smoking. Tip: Ask: “Do you smoke?”, rather than: “Are you a smoker?” Occasional smokers may not identify as smokers. 2. Advise all smokers to quit. 3. Help by making an enthusiastic offer of information and support including a referral to Quitline.